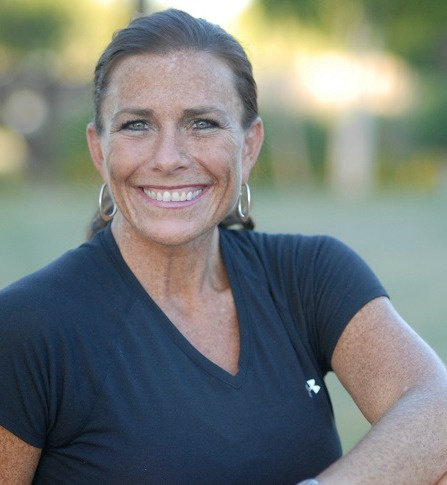 In the beginning: Jennifer Turley recognized her gift and love of being active and healthy in her mind, body, and spirit at a very young age. This life long quest has allowed her to travel many roads - learning the keys to living a successful life. Nutrition/Weight Loss Career: Jennifer Martin recognized at an early age the quality of her life improved with a healthy lifestyle and diet. With this awareness, at the tender age of only 20, she felt inspired to motivate others and began counseling adults on their eating and nutrition habits, as well as encouraging them to stick to their weight loss goals at Weight Loss Clinics in the East Valley for 4 years. She made such an impact on the weight loss clinics staff and members she was quickly promoted to Center Manager at the tender age of 21 and later a top performing Program Director in the Southwest for Jenny Craig Weight Loss Clinics. Finance Career: Not long after these successes she had a detour in her weight loss career and found herself immersed in the world of "high pressure sales” and the handling of other people’s finances. This journey lasted for nearly 14 years! Jennifer could not escape from realizing that the quality of her life and her health had diminished due to always prioritizing her career over her own health and happiness, which led to a very miserable life. Personal Journey: The consequences for the lifestyle she chose to live led her to being a divorced, depressed, and confused individual. Healthy thinking and relationships were elusive at this time in Jennifer's life, which forced her to do some serious soul searching. She began investigating Life Coaching which focused on investigating her core values helping her to realize she was not living a life congruent with her personal integrity. She desired to change, but lacked the knowledge to do so. As she continued to work with Life Coaches this led her to the answers she needed and miracles began to occur in her life. Life Coaching Career: As her life improved she wanted to to help others overcome the same dilemma of misguided thinking and know...that you must live a lifestyle congruent with your values to find happiness. During Jennifer's 5 years as a Life Coach many of her Life Coaching clients predominent issues involved their weight, body image, self-esteem, energy levels and health concerns. When investigated further Jennifer helped her clients recognize the impact of poor eating and a lack of physical activity were negatively effecting the quality of their life - from their intimate relationships, their management of their parenting, finances, home, etc. With each and every client she “coached” there was always the ever present struggle with making the time to workout, not to mention actually enjoying it or sticking with it for any length of time! Jennifer knew there had to be an answer to this common dilemma. Fitness: When the opportunity was presented to be a Fitness Trainer of an outdoor Boot Camp Jennifer was apprehensive. Some of the stereotypes of Trainers worried her and she battled with body images herself...She thought "Who would want to listen to me?" This internal desire to change her own fitness and body image issues gave her the courage to obtain her fitness training certifications with ISSA. Jennifer realized aside from being with her loved ones the time she was at Boot Camp training and working out herself were some of the happiest hours of her day. Also, the people at Boot Camp were amazing! She was fulfilling her life dream and passion of helping people to be successful, healthy and happy by inspiring others to change their bodies and lives and making friends and having the greatest time of her life working out! The workouts, although VERY difficult, were super fun, invigorating and addictive. This had a great personal impact on Jennifer's life. She became healthier in her thinking and began clearing out bad relationships, lifestyle choices and personal habits. Doors began to open to healthier friendships with the members at Boot Camp and new opportunities, which matched her values and life goals. Now, beginning 13 years in operation she has logged over 10,000 hours of Fitness Training. Her most recent accomplishment...obtain her certifications as a Corrective Exercise Specialist. This knowledge has helped many people who come to her with limitations and injuries build the strength to put them back in the game of life! There is no price tag you can place on a fit, healthy and whole body! Life Purpose: "Love They Neighbor as Thyself": Each aspect of Jennifer’s career paths, individually were invaluable, combined as a whole, they were powerful beyond words. She was able to practice what she believed which is to "love your neighbor as thyself." The ultimate gift in anyone's life is to find happiness and Jennifer had found this. Naturally, when you are living your life in accordance with your values you will attract people into your life who share your same values and unlimited possibilities emerge in your life! 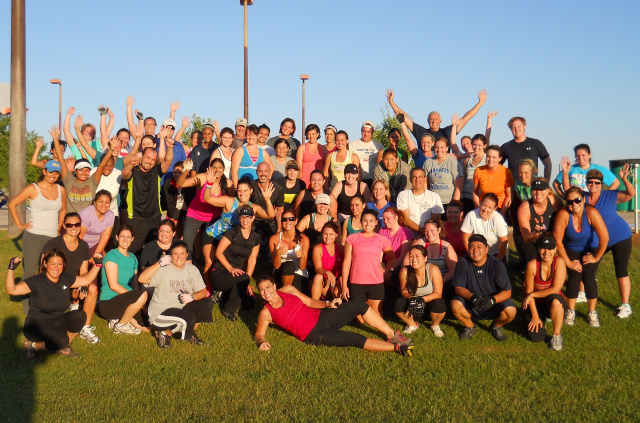 Jennifer Commitment to her Boot Camp Famliy: Jennifer truly loves her clients. She loves being available on a personal and group level each day. She feels the desire to help others can be increased by sharing wisdom she has learned along her own path in life, as well as sharing in the wisdom, joy and love she experiences from each of her Boot Camp Family members. Jennifer's Special Invitation: "Myself and the Boot Camp Family invite anyone who is looking for happiness, health and fitness, as well as the opportunity to have true friendships, self-acceptance and love of life and others to come and experience our program absolutely FREE for 4 weeks and see what a difference working out with people who care about you can make in your entire life. We look forward to meeting and working out with you!"